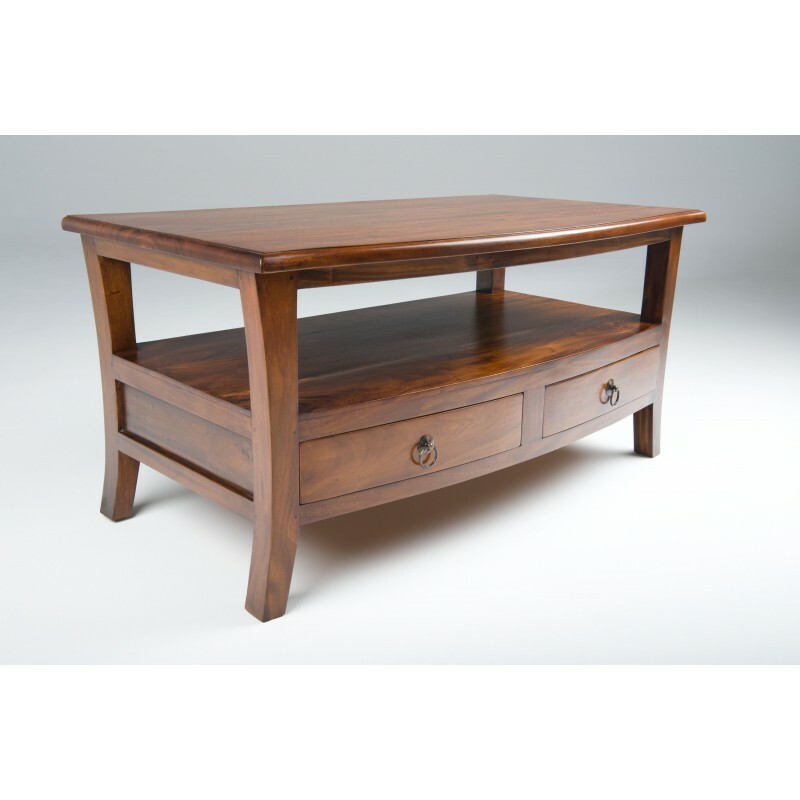 A solid mahogany coffee table with four drawers and shelf makes a great storage table for your living room. The four drawers of this coffee table are arranged two on each side making this ideal for the centre of a room. The top has a wonderful gentle curve on both sides matched on the base and shape of the drawers. The wood has slight distressing and is finished with a polished finish that makes a wonderful warm style evoking a comfortable and idyllic setting. An ideal coffee table for the middle of any living room or conservatory.